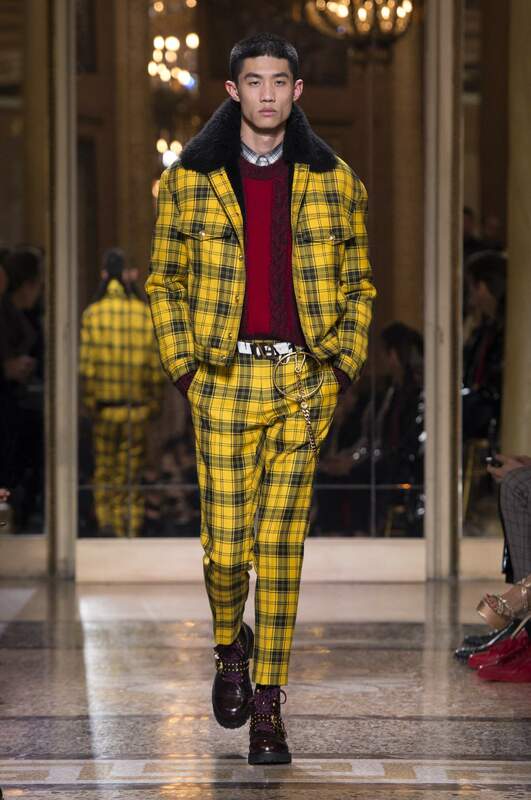 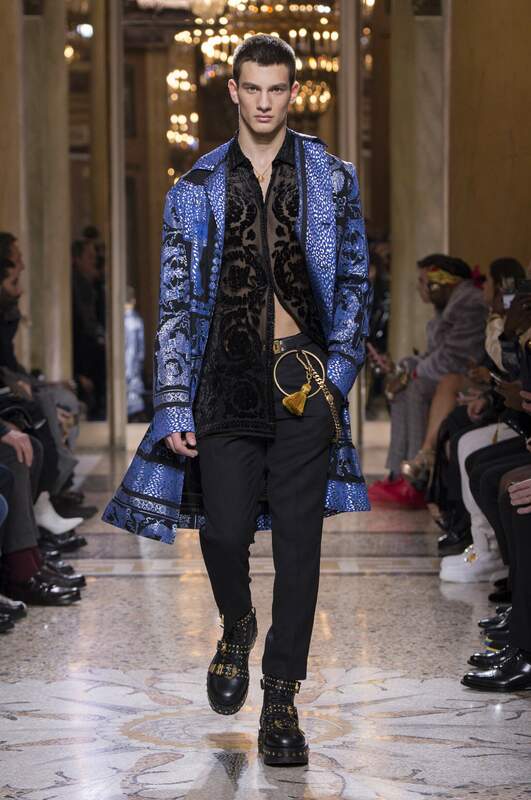 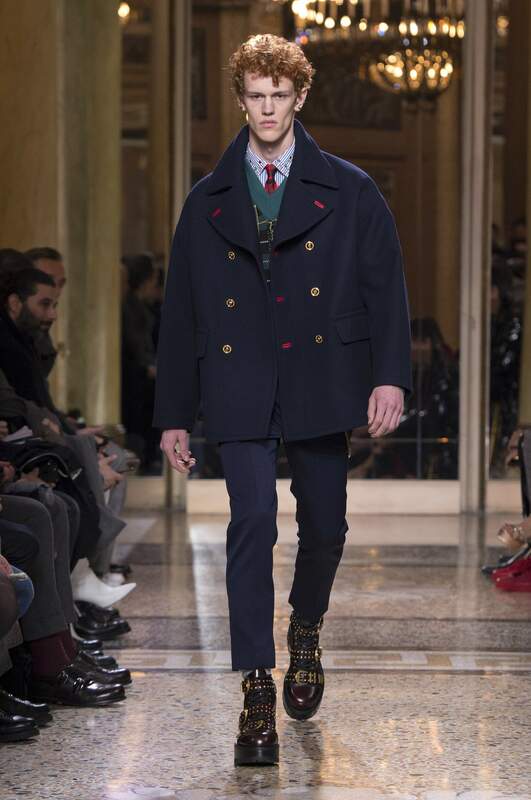 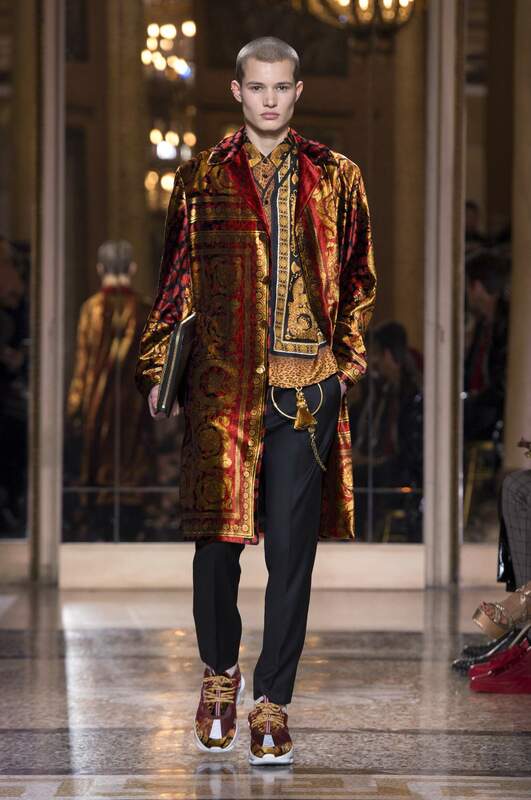 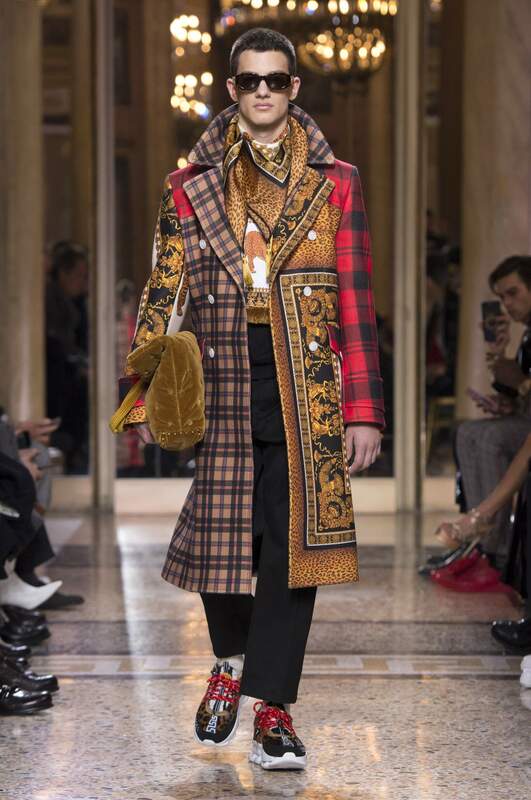 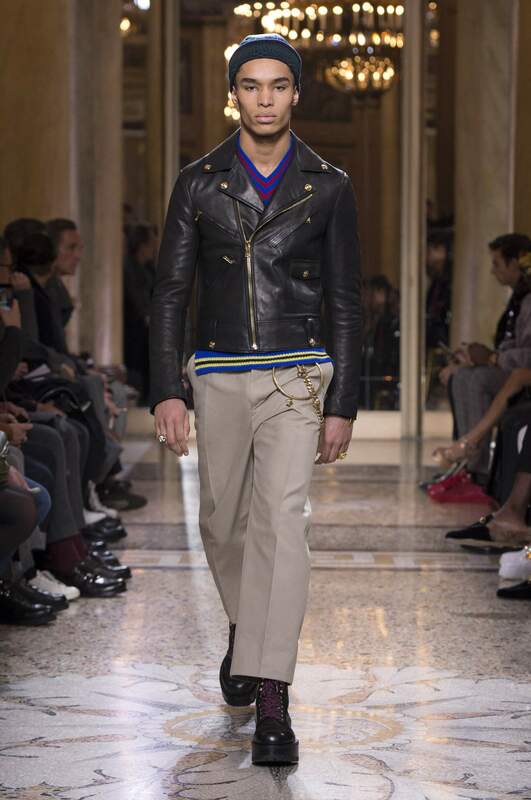 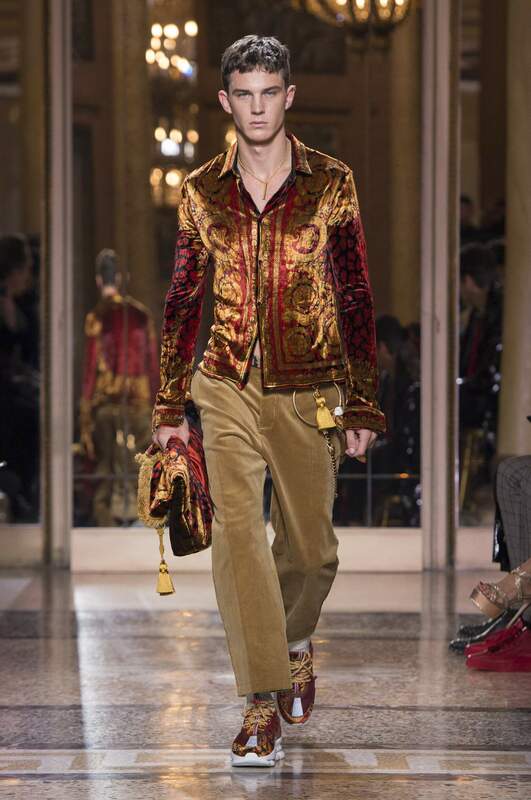 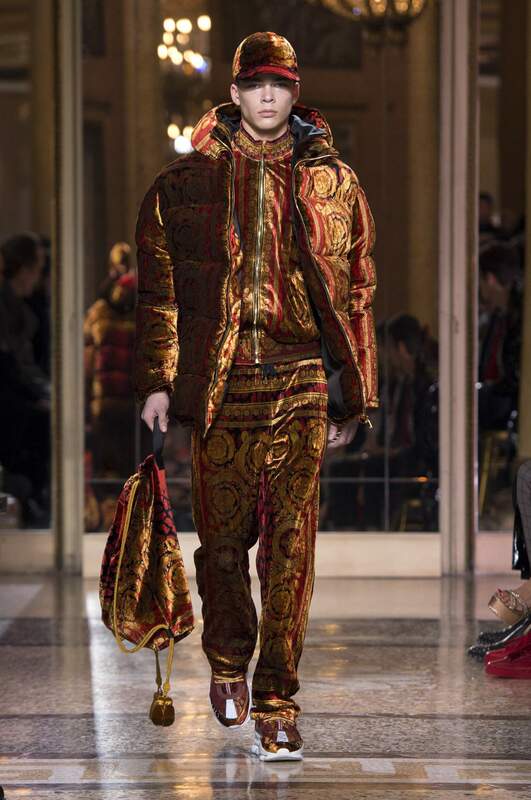 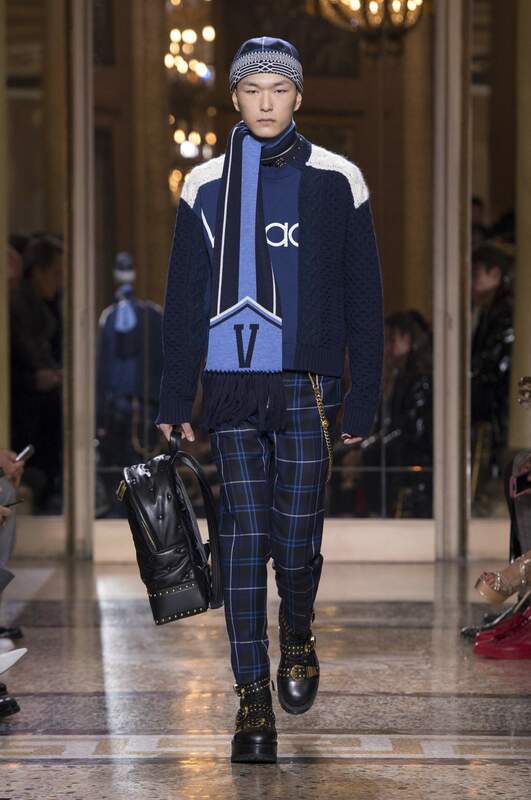 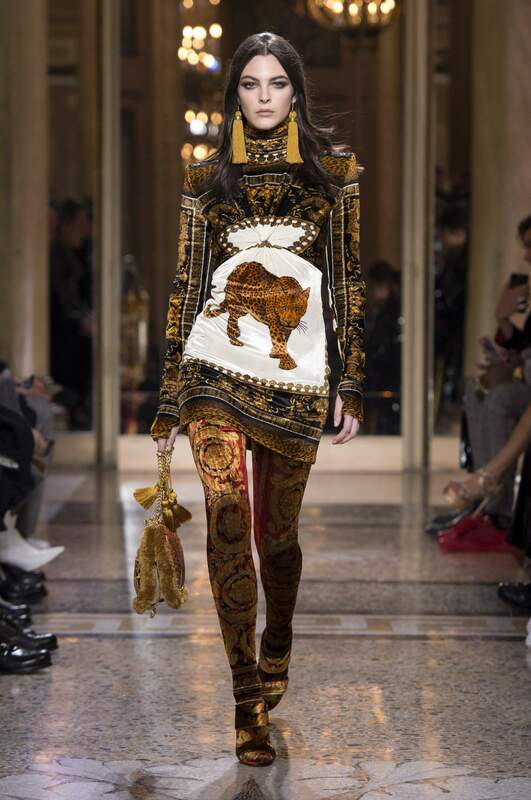 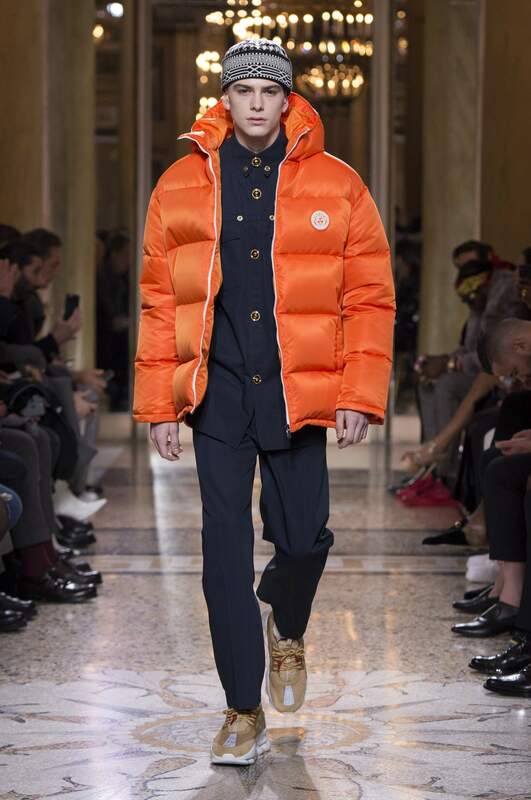 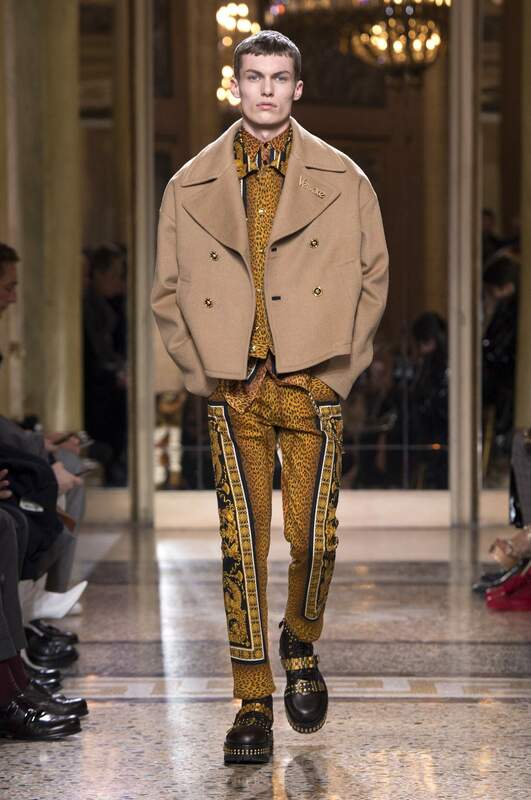 In this FW ’18 Men’s collection everything is so Versace, that it will give you that familiar feeling of coming home. 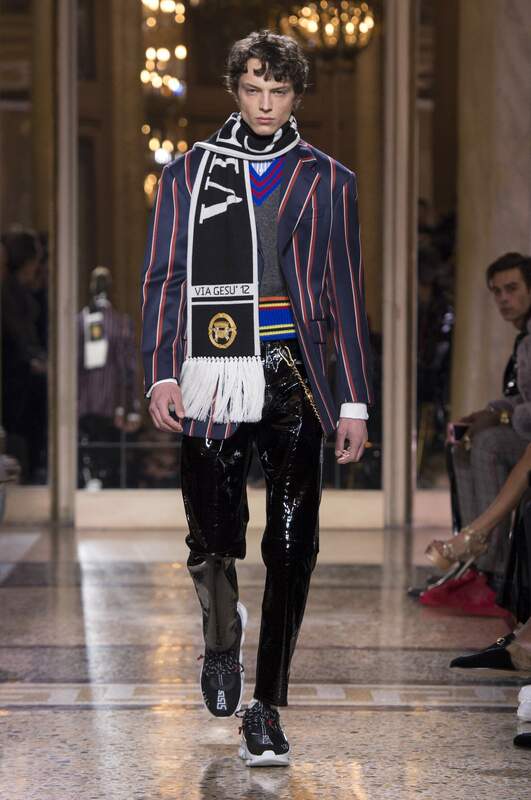 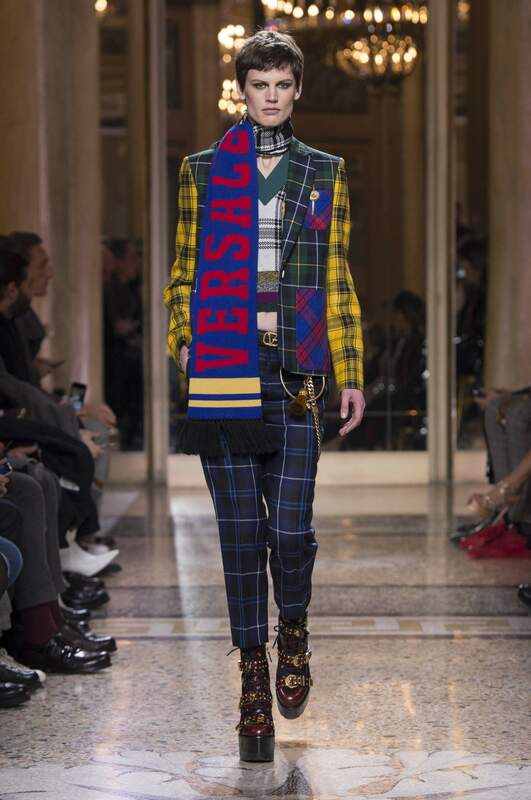 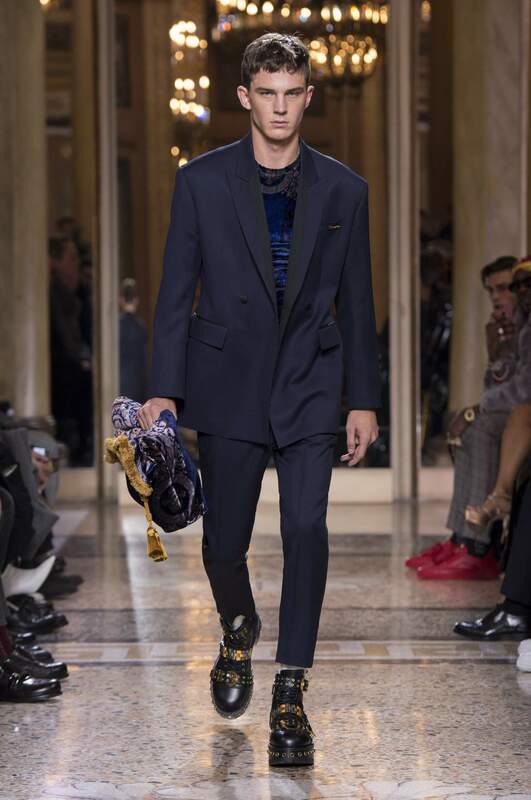 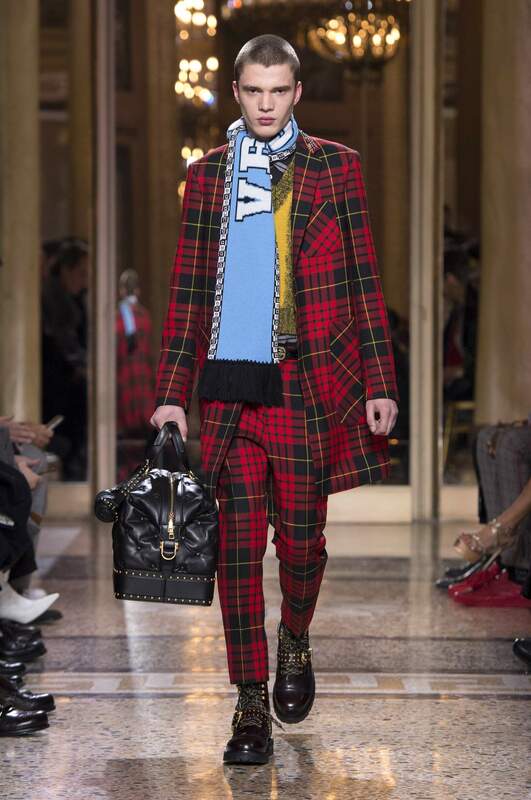 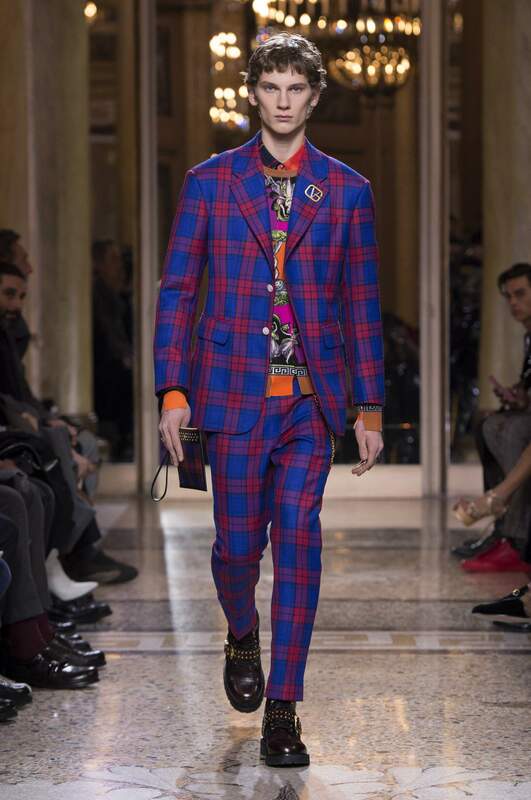 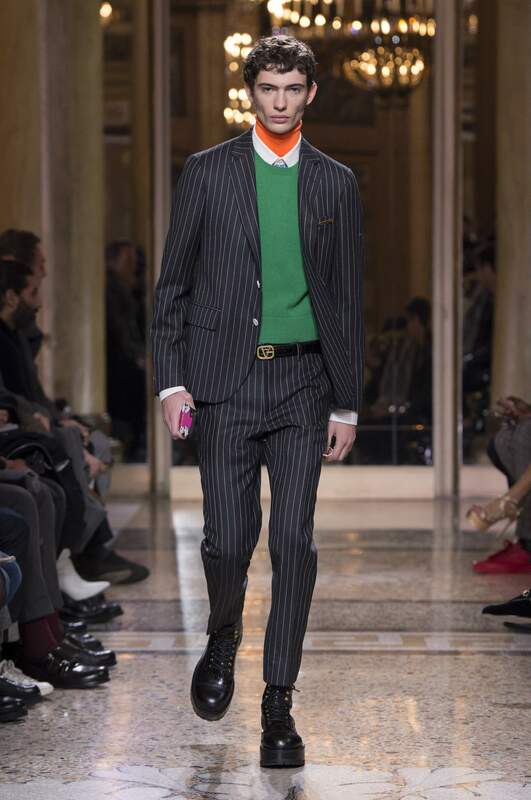 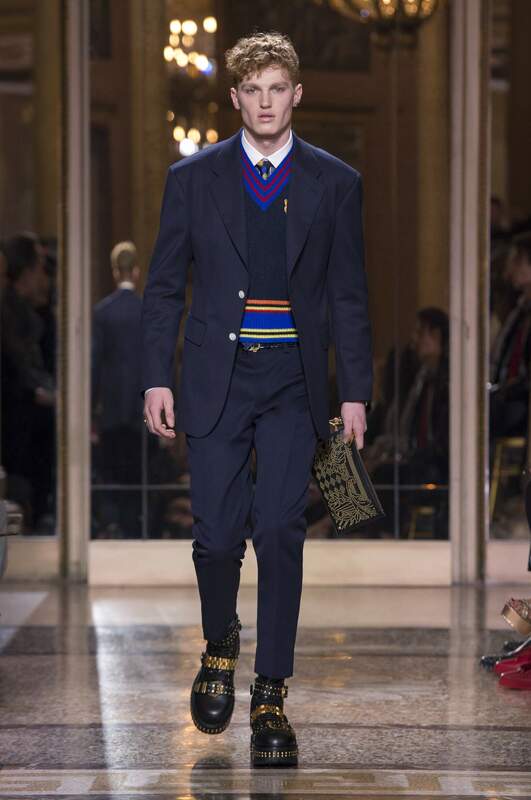 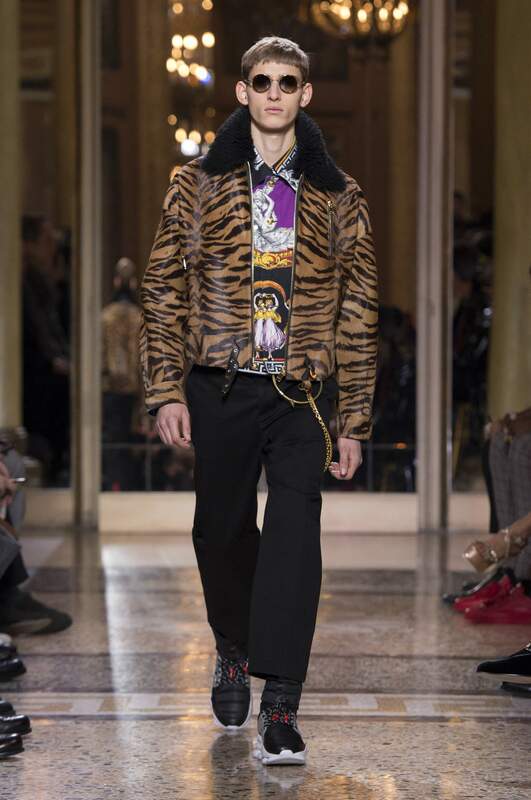 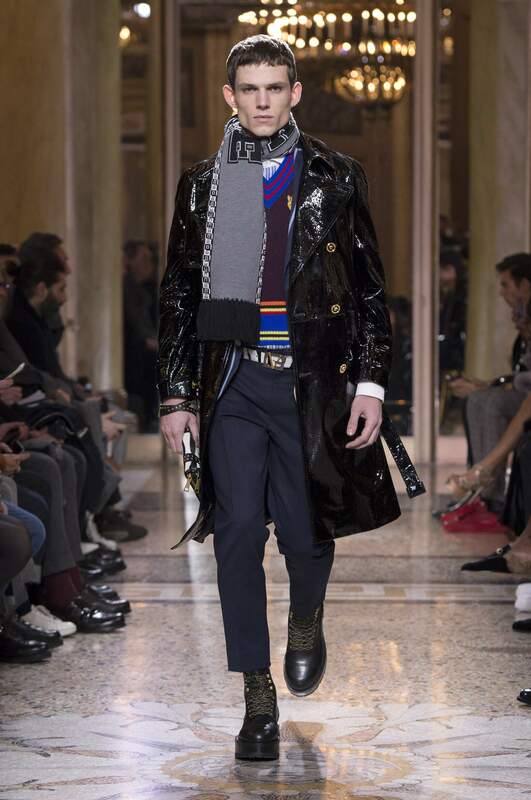 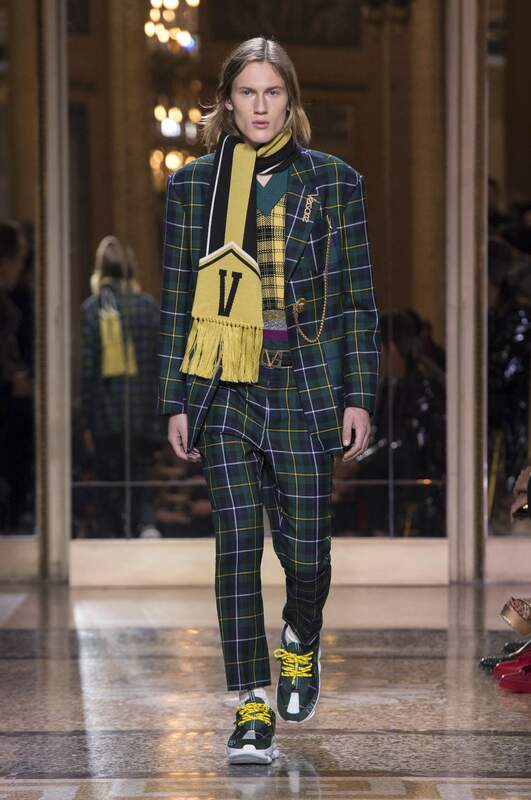 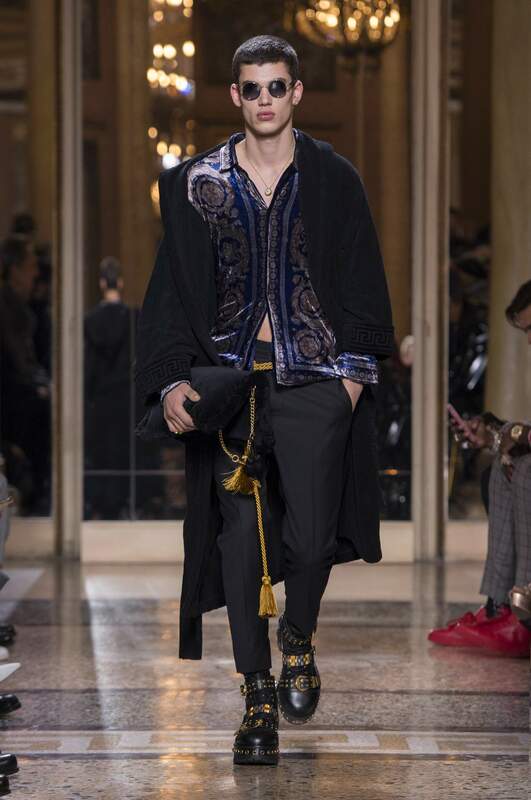 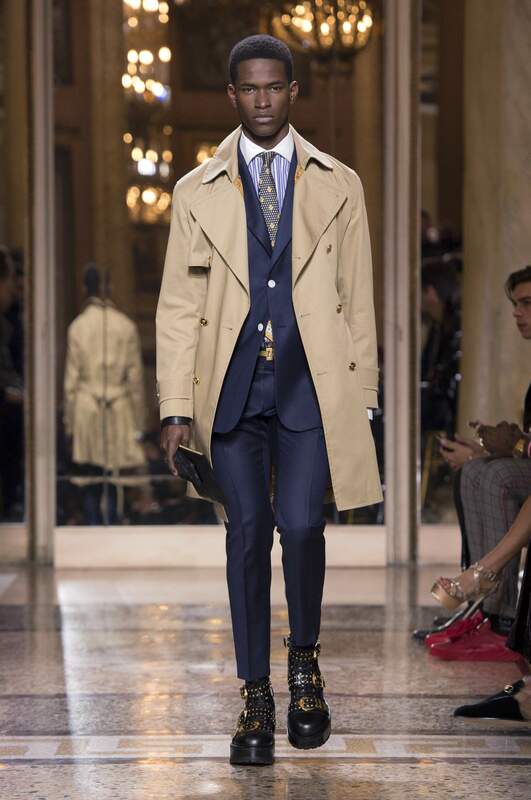 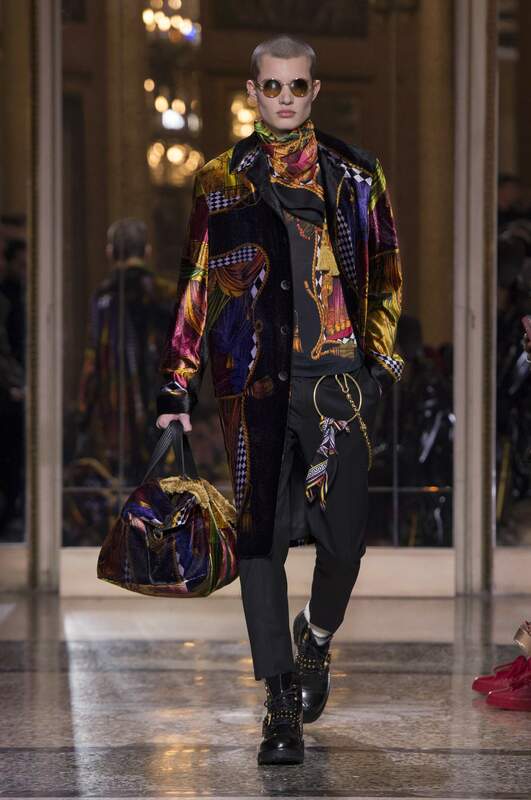 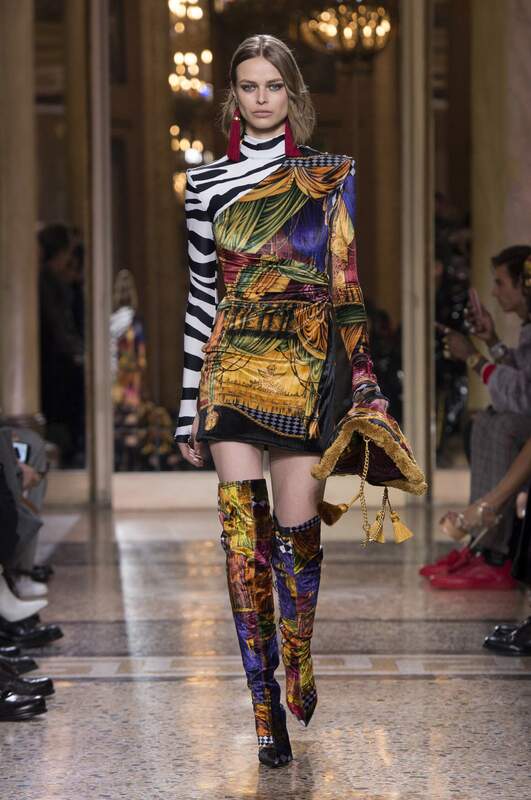 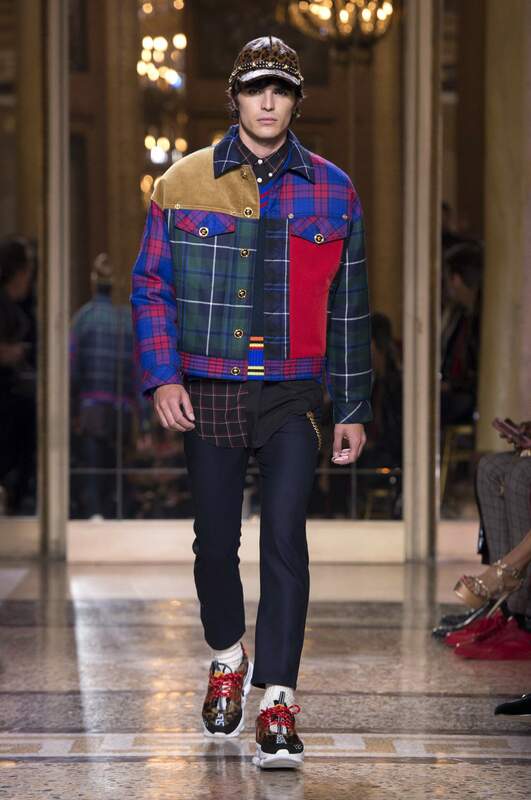 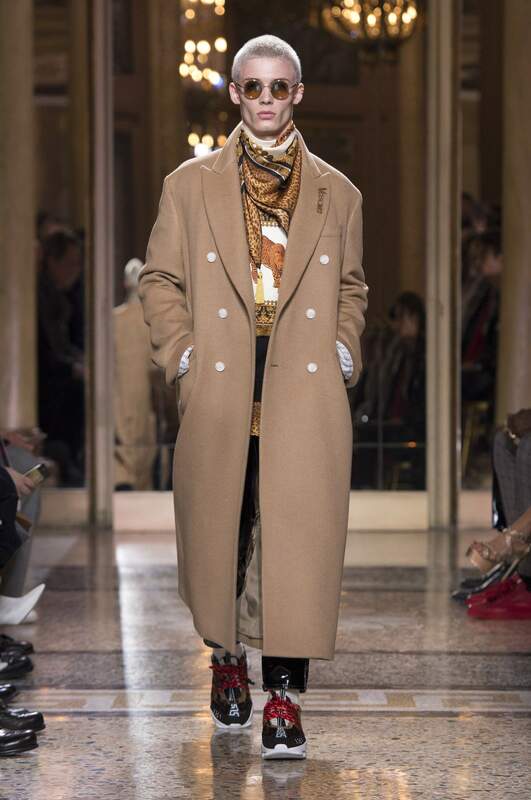 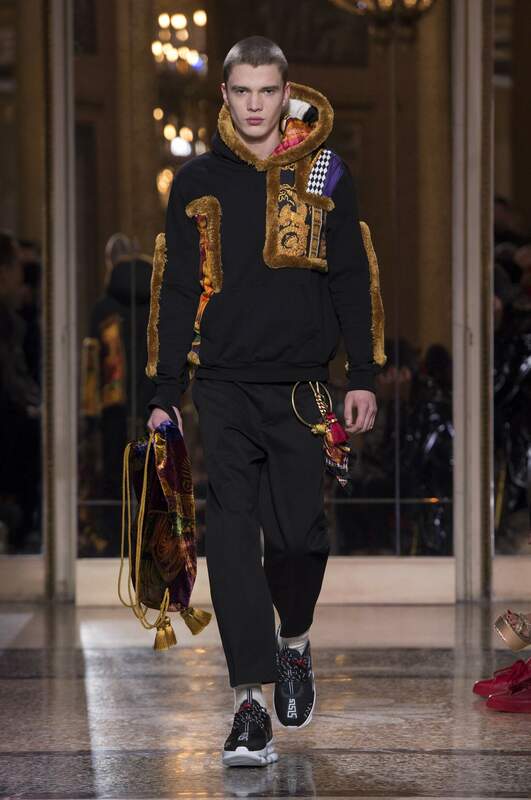 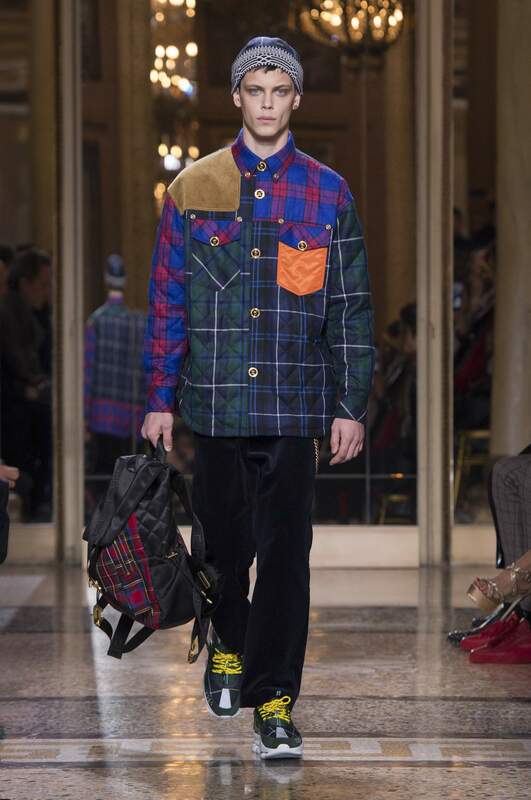 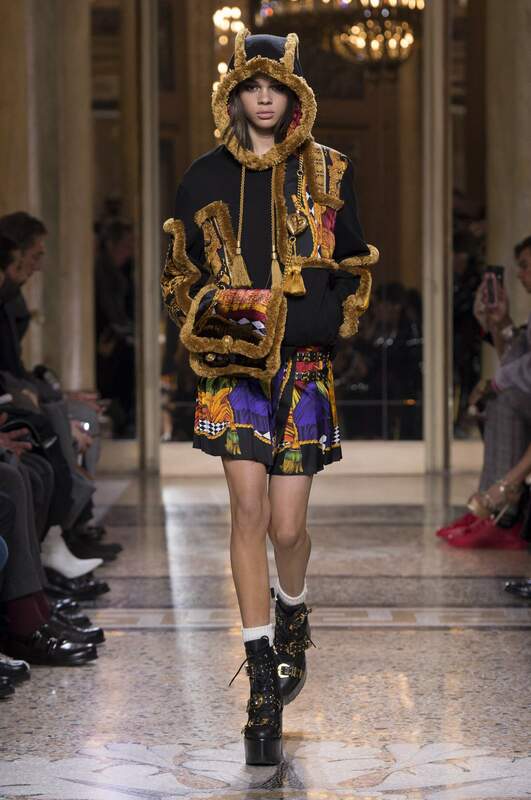 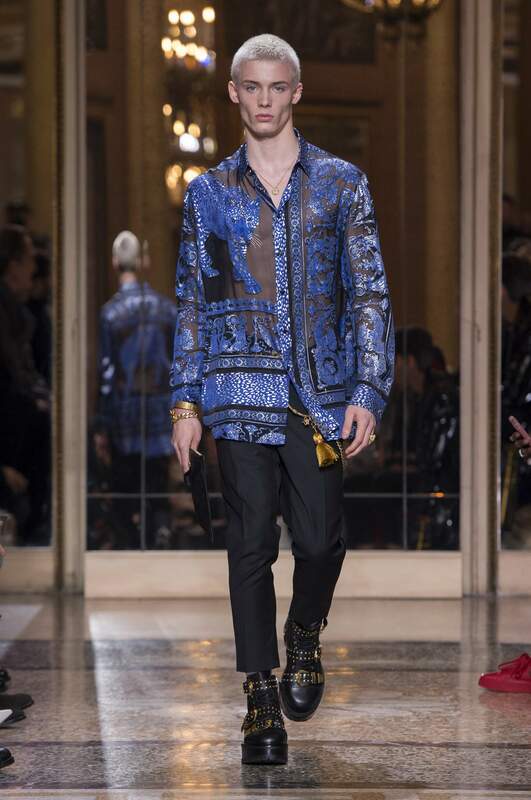 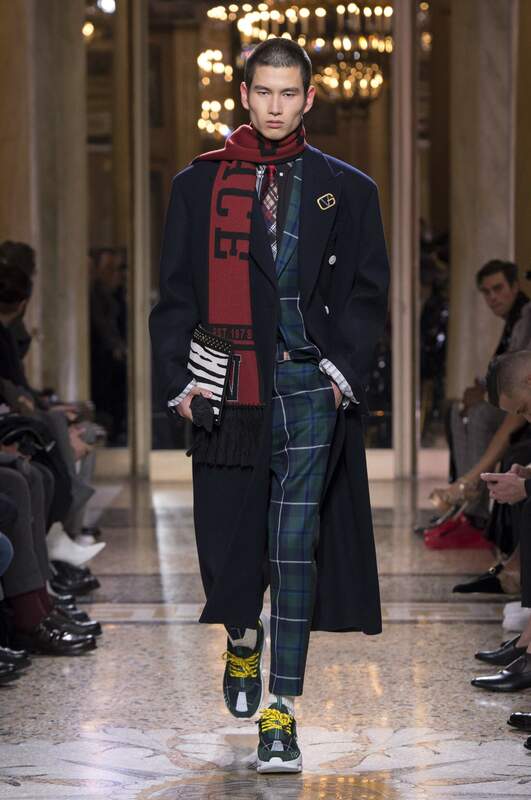 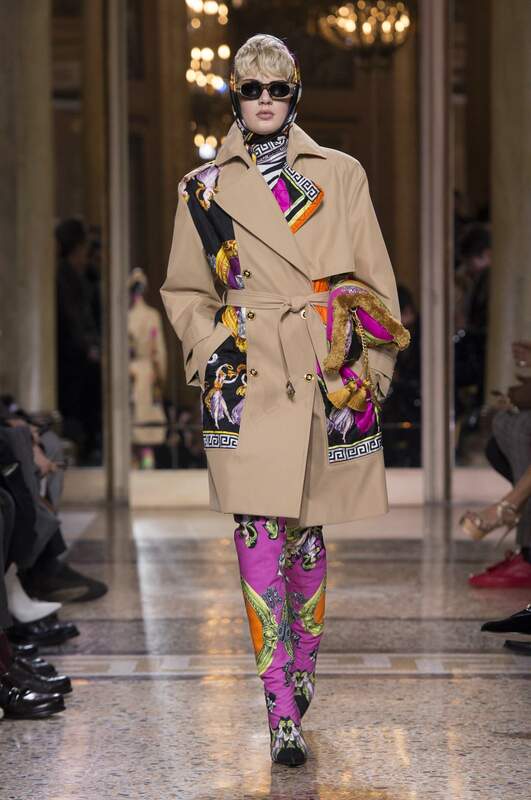 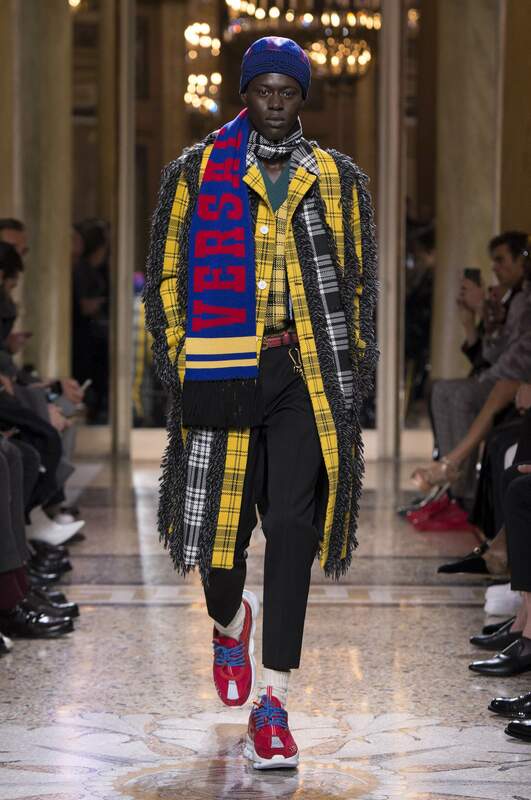 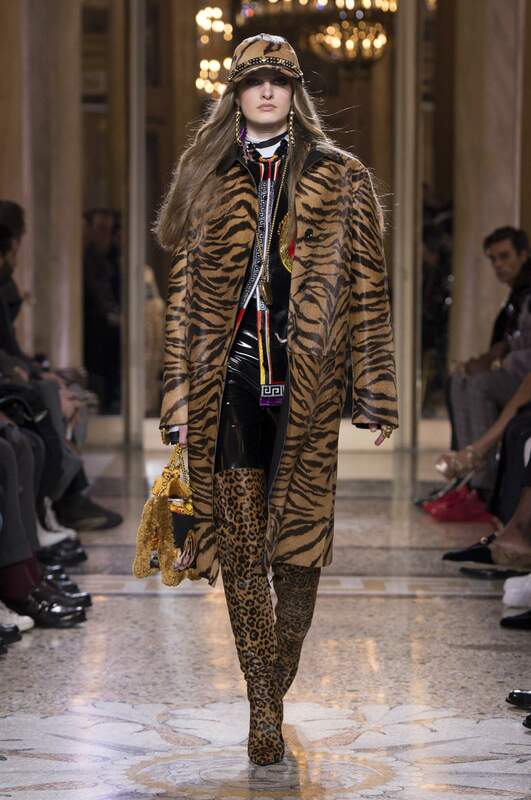 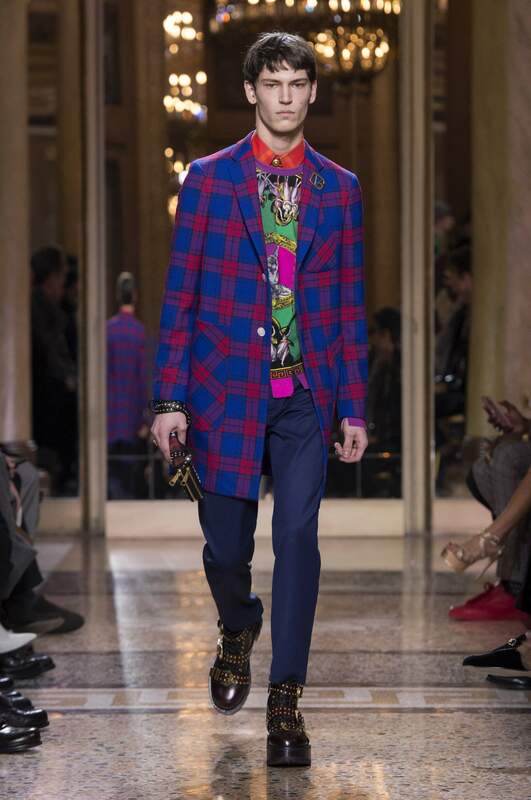 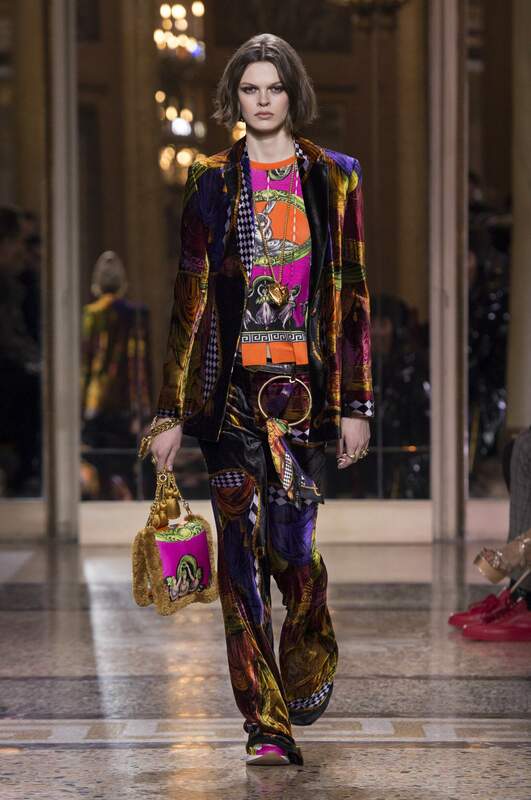 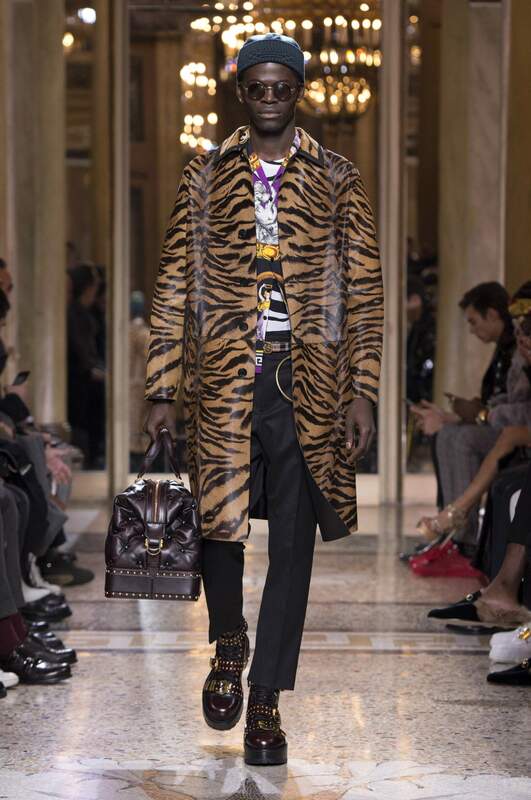 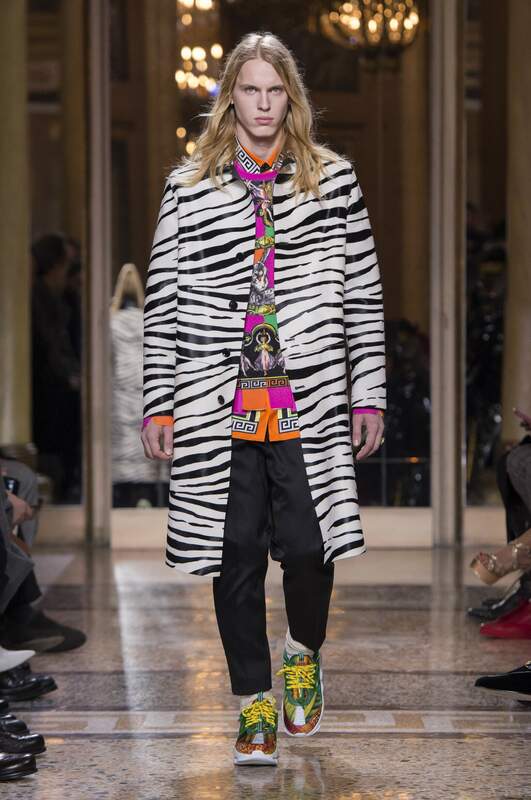 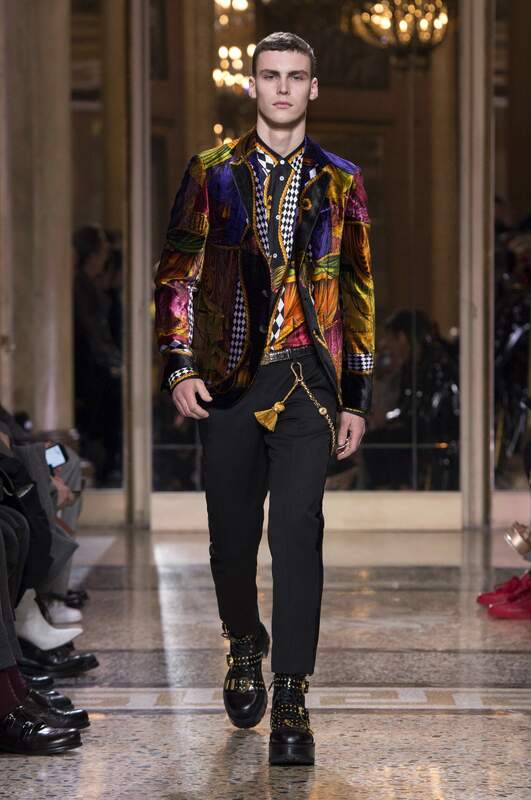 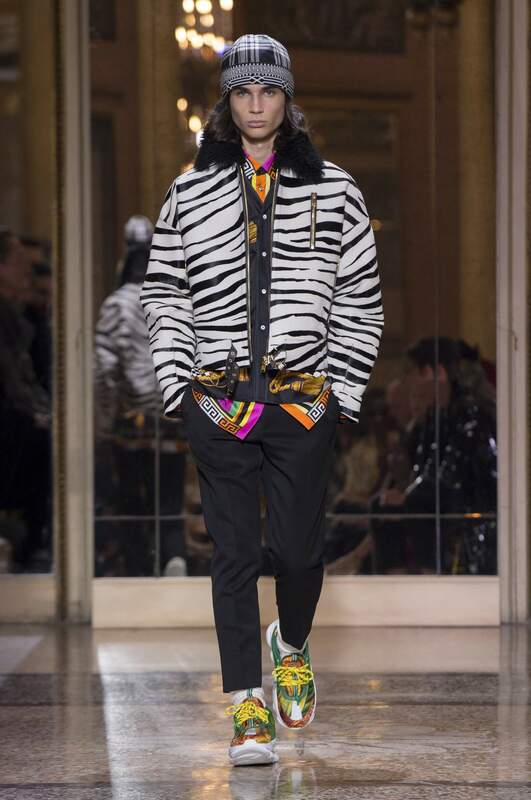 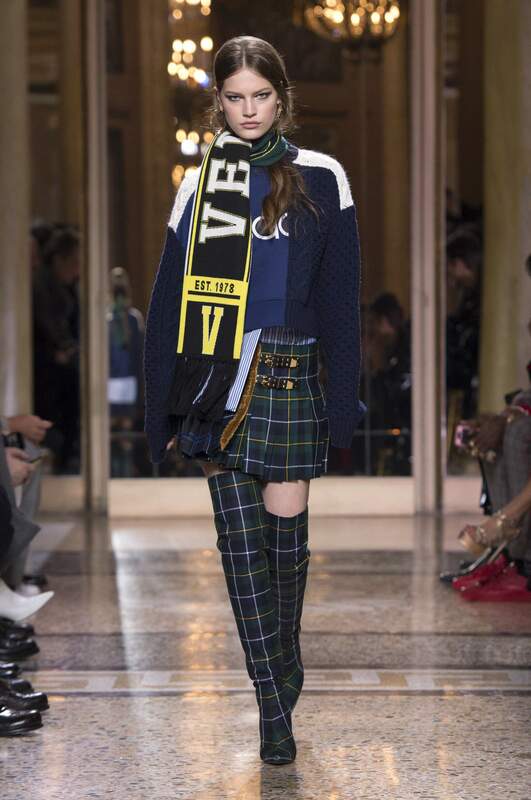 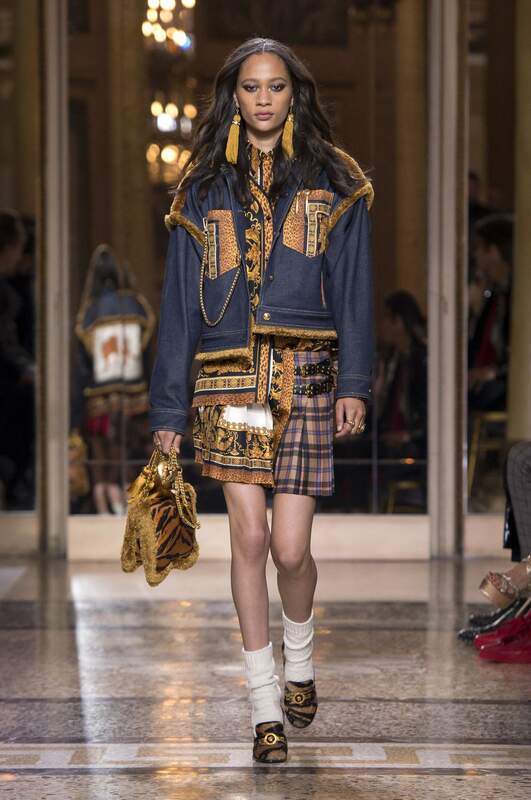 A wardrobe for a man who isn’t afraid to explore his wildest side – Versace Men Fall Winter 2018 is all about playing with the house codes and re-interpreting them, through younger eyes, through different subcultures, through that ironic yet comfy Versace twist. 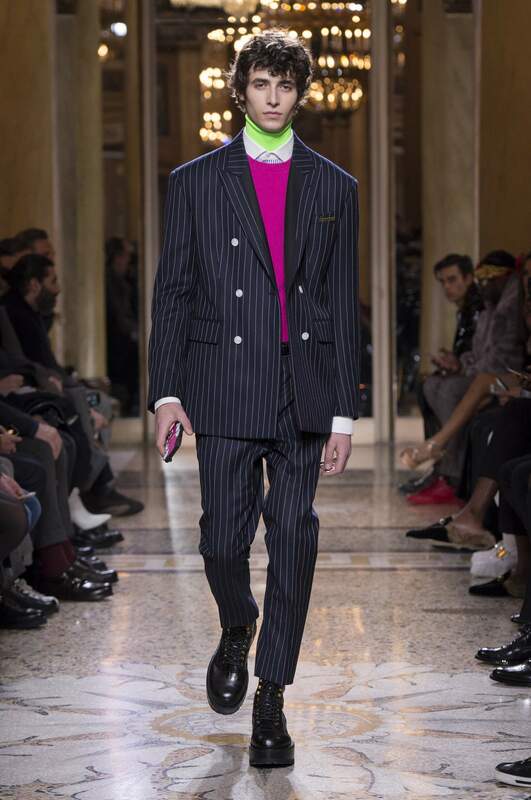 A collection that re-invents the rules, ignores boundaries and celebrates the art of individuality, with a look-at-me personality that’s taken to another level. 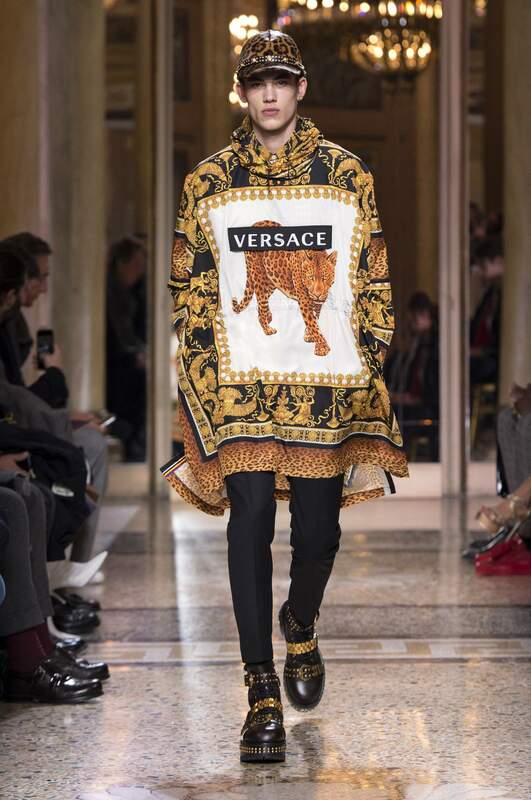 HOME RUN – inspiration is taken from the intimacy behind closed doors at the Versace ‘casa’ where the only rule is that there are no rules. 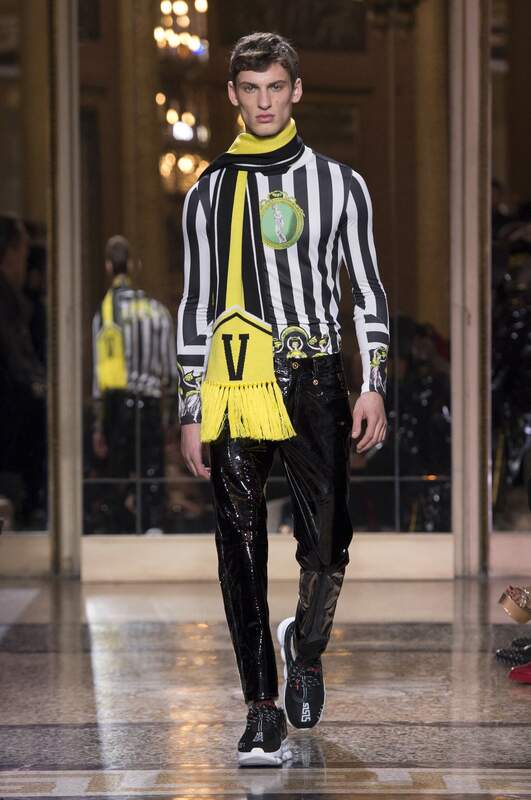 Pure anarchy reigns. 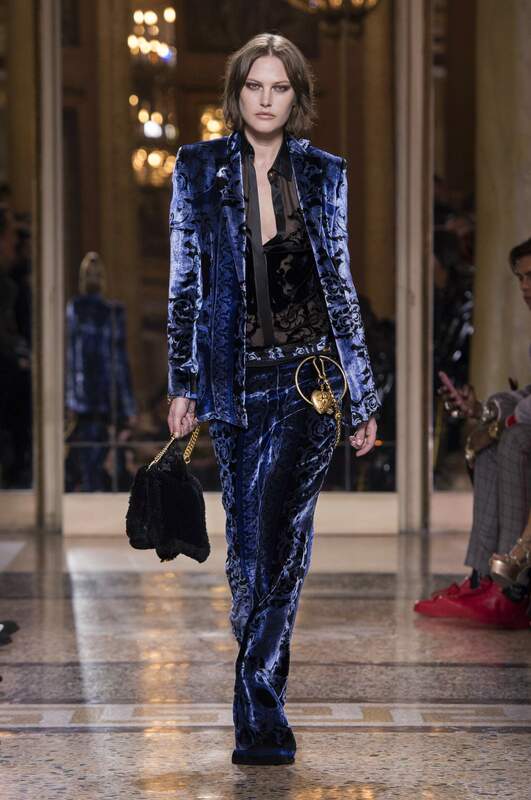 Accessories are crafted from lush interior elements: heritage velvet prints on clutches and travel bags recall velvet curtains and drapes. 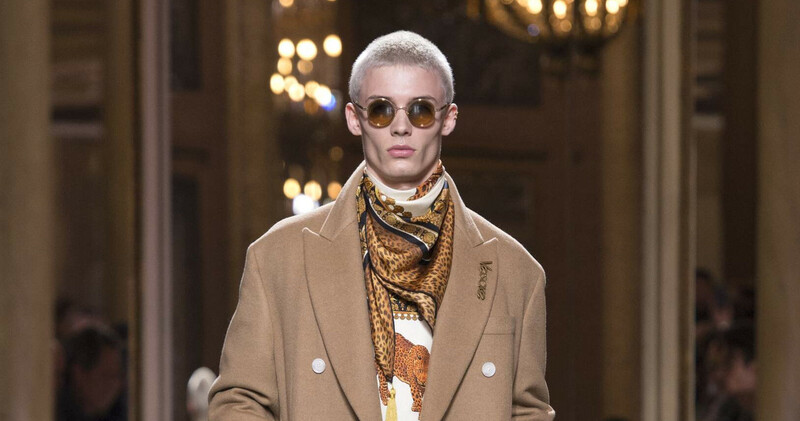 Homeware takes center stage: bracelets are crafted from forks and knives. 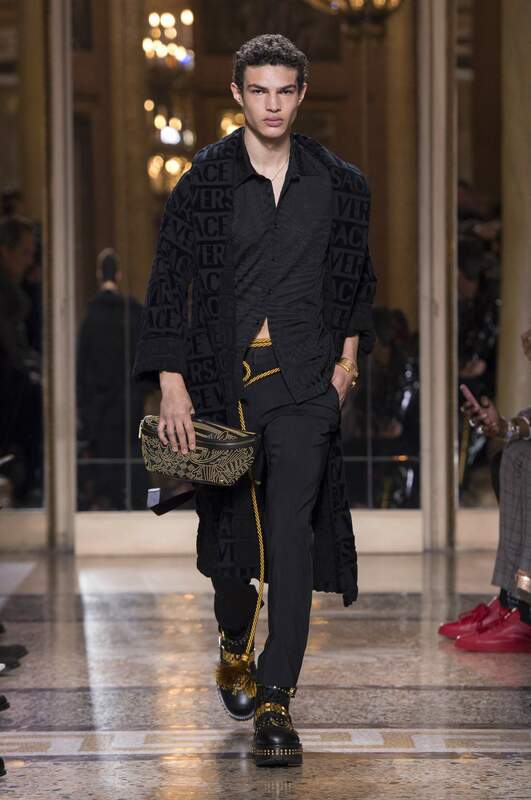 A chesterfield- style couch from Versace Home is re-born on outerwear and accessories featuring couch button details on leather and velvet. 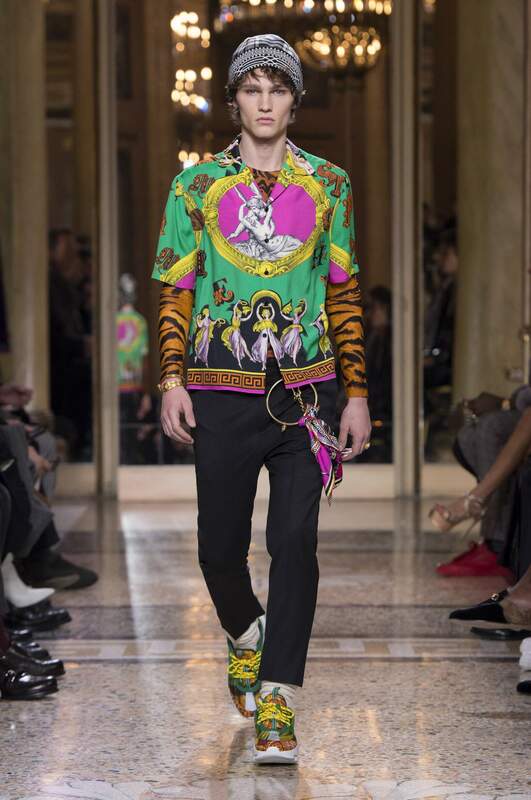 Retro Medusa headphones and phone covers, the new men’s essentials, revamped with that Versace fun.